As the battle for football supremacy was taking place on the field, a very different one was raging across the country: Which ad would reign supreme? 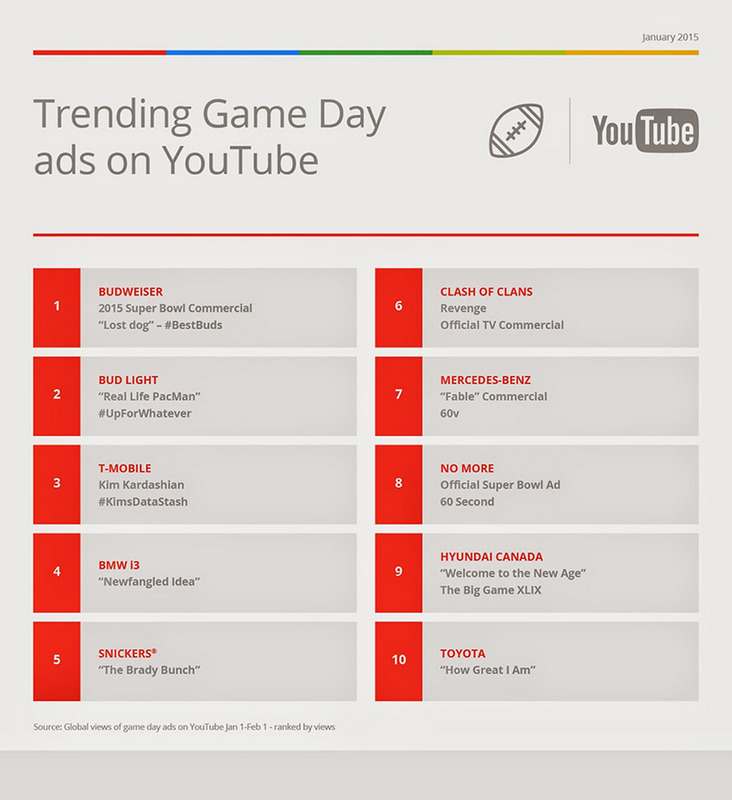 Whether via smartphone, tablet or laptop, people spent nearly 4 million hours watching game-day ads and teaser videos on YouTube—up from 2.2 million hours from this time last year. Tom Brady, Marshawn Lynch and Russell Wilson were the top three searched players before, during and after the game. Thanks to some standout in-game performances, by the end they were sharing the spotlight with Rob Gronkowski and Chris Matthews (replacing Richard Sherman and Kam Chancellor). 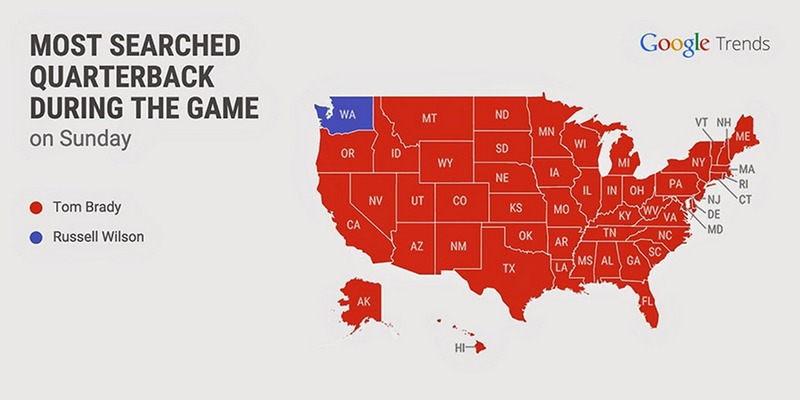 And MVP Tom Brady wasn’t just a winner on the field—he captured the title of “Most Searched Quarterback” in every state except for the Seahawks’ home Washington. For the first time ever, this year YouTube hosted a halftime show produced by Collective Digital Studio, with the help of more than 25 YouTube creators including Epic Meal Time's Harley Morenstein as host, Rhett & Link, Toby Turner, Freddie Wong andTyler Ward. From Kurt Hugo Schneider’s "Epic Patty Cake Song" to the “Elephant’s Toothpaste” science experiment with Science Bob, the show delivered a one-of-a-kind experience for YouTube fans. With the last touchdown scored, we’re taking votes for your favorite ad, so visit our AdBlitz channel to cast your ballot before voting ends on February 9 at 11:59pm ET.